Providing you the best range of premium heavy duty platform scales and premium 4lc based electronics weighing scale with effective & timely delivery. 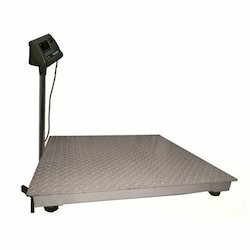 We are a remarkable entity in this domain, engaged in offering a qualitative assortment of Premium Heavy Duty Platform Scales. These are highly sturdy which function competently for long span without needing high maintenance. Our weighing scales are used for counting & weighing small parts and pieces, tablets, precision metal parts, nuts, bolts, plastic items and coins in automobile, engineering, hardware, electronics, plastic, and rubber, electrical and pharmaceutical industries. 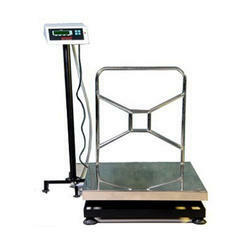 Owing to the efforts of our dedicated team of professionals, we have been constantly engaged in offering the best quality Premium 4LC Based Electronics Weighing Scale. The presented range is sturdy in construction, easy to use and offers accurate results. These are highly famous in the market due to their high performance and compact design. The portability of these products makes them suitable to utilize.